I did not grow up reading science fiction. In fact, I was one of those smug mundanes who thought "sci-fi" was all death-rays and aluminum-foil spacesuits and Robby the Robot. (Well, maybe sci-fi is, but not SF.) It wasn't until my son, eleven at the time, handed me a book of short stories by Robert Sheckley that I began to realize what I'd been missing. So when the time was ripe for me to start writing -- that is, when I couldn't not write any longer -- it was SF I started out with, not mysteries. At that time the "sense of wonder" aspect of SF had already begun to fade, and broad adventure had pretty much yielded to a more personal kind of storytelling. That suited me just fine. I didn't realize it at the time, but writing SF has a lot in common with writing mysteries. All SF stories are essentially mysteries in the sense that they present something out of the ordinary that needs to be understood, that needs to be puzzled out...to be solved, in fact. It's one reason that novels blending the two genres have been so successful. The obvious difference between the two forms, of course, is that SF writers must invent new worlds for their stories, whether it's an alien planet or good old Earth a hundred years from now or an alternate universe or something else...a problem that mystery writers never have to deal with. Mystery writers must create the "world" of their stories, of course. But creating a convincing picture of the known world is not the same kind of challenge as making real a world that exists only in the mind of the writer. SF demands a more active participation from its readers than mysteries do. 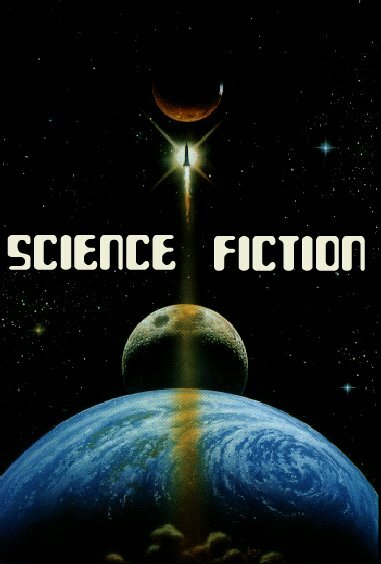 SF readers are willing to suspend disbelief to accept the conventions of the story, that is, a set of circumstances that are not consistent with what exists today (such as faster-than-light travel, or hardwiring the human brain to a computer, etc.). But lord help the writer who fails to maintain consistency within those conventions. Alas, I am no longer in the SF field, except for the occasional short story. I found I could earn a living writing mysteries, but unfortunately this was not true of SF. With the one exception of The Three-Minute Universe, all my SF novels are now out of print. Paperback SF novels by new/unknown writers have rough going, on the whole. They don't have a long shelf life -- they're in and out of the bookstores faster than you can say "Live long and prosper." And they are rarely reviewed. My paperbacks got only a few reviews, and all of them were quite brief...but I was lucky to get even those. All this was back before SF stopped being a cult and joined the mainstream, but it's still tough for a new writer to break in. Even though I'm now only a fringe member of the SF world, I still love the genre. It seems to me that SF is treading water at the moment, trying to decide what direction to strike off into next. Has SF already produced all the big ideas it's ever going to? Oh, I don't think so. Page created June 28, 1995; last updated October 23, 2000.